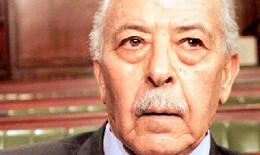 Chedly Ayari was born in Tunisia in 1933 and throughout his life worked as an economist, politician and diplomat. He studied Economics at Sorbonne in Paris before completing further studies in Private Law. He initially worked as a Professor of Economics and Law at the University of Tunis, before being promoted to Dean of the Faculty of Law and Economic Sciences and Management. During this period he was also an Associate Professor at the University of Aix-Marseille. During his academic career his research focused on the subjects of international monetary and financial relations and macroeconomic policy. Ayari is a published author, having produced numerous books on economic policies and fiscal relations. Ayri also worked within Tunisia’s political sector as Planning Minister, Minister of Youth and Sports, Minister of Education and Minister of Economy. In 2010 he was appointed as a member of the House of Councillors. In addition he has held several diplomatic posts, as Economic Advisor to the Tunisian delegation of the U.N. and Ambassador to the European Commission. He is also a member of the Advisory Board of the African Development Bank.